The technological revolution is being brought about by the continuous advance in research and development as organizations compete in a tough market for increasing the market share and consequently, increase their revenue margin in the process. One of the best examples related to this remains the evolution of the signages, from the archaic printed paper and plastic boards to development of the digital signage such as the homescreen by Airtame, which is a considerable change from the analog signage. Defined as a network of the centrally controlled digital displays as well as an effective way to engage the audience, the culture of the digital signage is highly becoming popular in much modern society. It can be further defined as a centrally controlled content distribution platform that can be used by anyone to communicate various messages or display a meaningful content for a particular audience. Found both in private and public domains, digital signage represent the small change we do not notice in real life such as replacement of the poster related to bus schedule by a digital notice board or a homescreen. For example, since last few months, Airtame has been developing an intelligent homescreen as a part of a project. Currently, most of the screens around the world are used for purposes such as for the display of ads for a particular organization or offering information. However with the 3.0 version of Airtame homescreen, you can do much more. For example, the researchers have made some improvement in this new version of the device; they include the new visual overview in Airtame Cloud of the information of the homescreen, an ability to change the orientation of vertically mounted homescreens, and patch for the KRACK vulnerability. The first improvement in this version unlocks the potential of the work-screen by giving a simple view of all the Airtame enabled screens when nobody is streaming; For an IT admin, technical team or the content manager, it becomes easy to check that all the screens in the workplace are configured to display the content as designed by them. Further, there is no need to be concerned related to the privacy rights as the homescreen does not send information to the Cloud that is being actively streamed to a particular screen. The next facility that is being provided by the organization includes the customization and the orientation for the screens that have been mounted in a vertical manner. This improvement highly benefits the purpose of the organization related to the information screen. For example, if due to any reason, you need or want to use and display a portrait-oriented image in your office or would like to display a data dashboard that contains a long list, this version makes it easy for you. Further, you need to note that this orientation is unavailable while live streaming. The third and final improvement in this version remains the improvement and resolution of the KRACK vulnerability. According to the experts, KRACK vulnerability can be defined as a flaw in the WiFi standard WPA2, and it affects almost all types of modern WiFi-based devices that also include Airtame. While updating the software, Airtame also found a resolution and have patched this vulnerability. One more thing about this feature is that currently, these changes are available in the public Beta version and so the extra features of the 3.0 version of the Airtame are free for subscribers and the users in near future. Some other changes that are still to come and would provide extensive benefits to the users include a full remote management from Airtame Cloud, a simpler and quicker setup flow, more integration and user-friendly device settings, and more customized home screen. In addition, the engineers have given a more sleek and simple look to icons and images on the home screen that adds a considerable stylish look to the device. 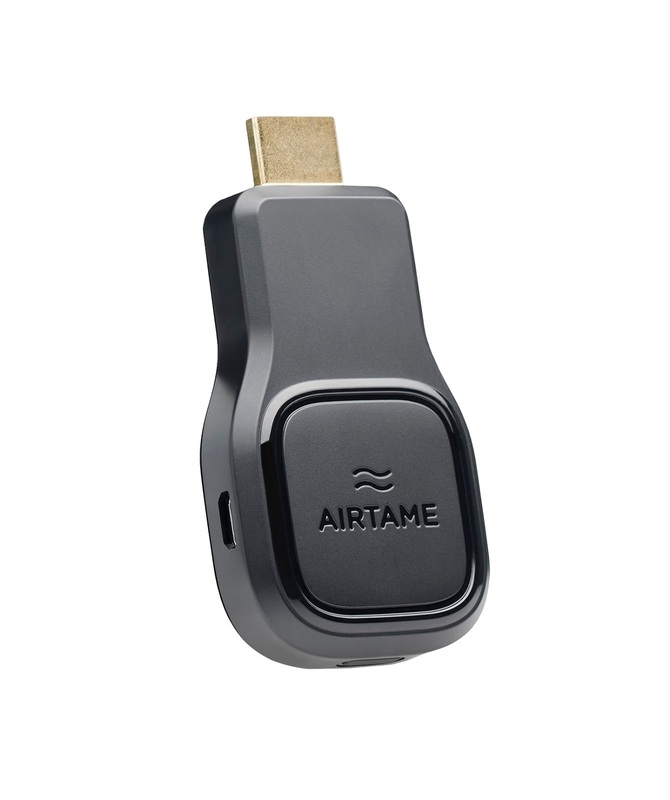 Change remains the only constant and this is especially true for emerging technologies in the electronic medium such as Airtame. Overall, it can be easily stated that the Airtame’s project related to homescreen would prove to be beneficial for various organizations that range from a commercial organization to the non-profit one not only for the presentation, meetings, conferences, and seminars but also can be used for education.